Before we can discuss what grey magic is, we have to talk about what magic itself is. 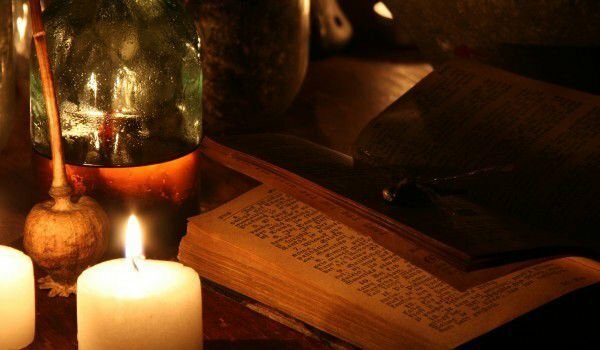 According to those who practice it, magic is a divine science that is used with the goal of developing the practitioner's psychophysical potential, thereby achieving full self-control and control over their surrounding world. However, knowledge and abilities in the hands of different individuals can be used for different purposes. This holds true for magic as well, and depending on the purpose and intents for which it is used, we're either talking about white magic, black magic or grey magic. White magic is used for good, noble causes. The magician is never paid and no one gets hurt or suffers. With black magic, the metaphysical arts are used for malicious purposes, usually causing harm to another person. And that's when we get to no man's land, the middle ground between black and white magic, which is reserved for grey magic. Grey magic is typically used to achieve personal goals/desires, such as the desire for love, attachment or for satisfying material needs. In actuality, all love magic falls into the category of grey magic because not only does one have to pay money in most cases but something is taken from another person - their free will to love, their opportunity to find their true love. It is said that with grey magic, the aim is to achieve specific material or non-material goals, where there shouldn't be any harmful consequences for anyone but this is rarely the case - there's usually sufferers. To what extent grey magic leans toward white or black magic depends not only on the magician that's going to carry it out but also on the client.